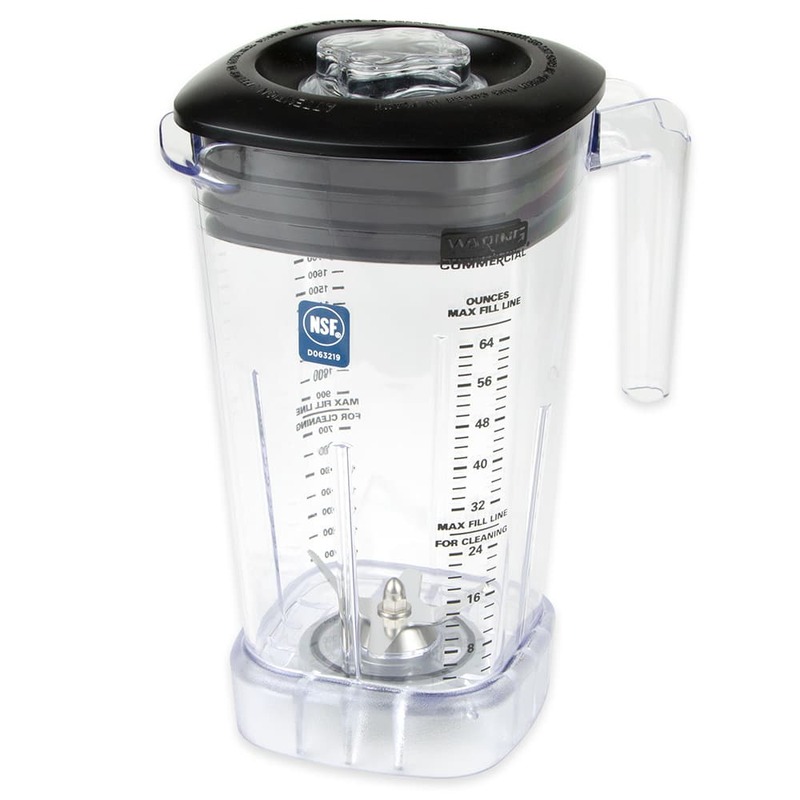 The Waring CAC95 Raptor™ blender container has a 64-ounce capacity. 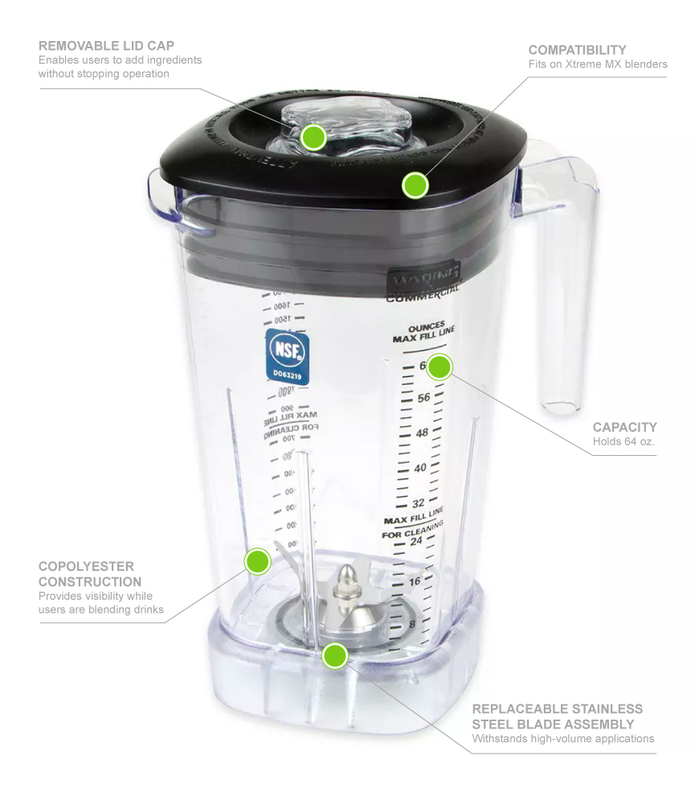 Made of clear copolyester, the jar does not limit ingredient visibility while blending. A lid is included to contain product to the container. To save space, it can be stacked with other containers.